A competitive Bishop’s Committee for the Environment (BCE) grant that will match up to $750 for projects that will reduce your church’s carbon footprint. Rebates can be used for matching funds. 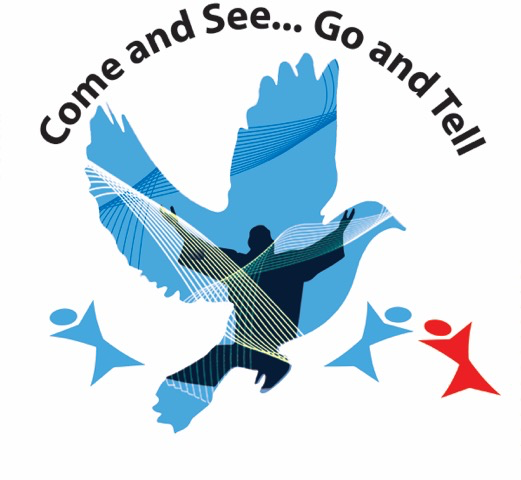 All congregations in the Diocese of Olympia are encouraged to consider applying for a Congregational Development Grant for 2020. The overall purpose of congregational grants program is to assist congregations in the Diocese as they develop, with God’s help, into healthier, more faithful, and more effective communities of faith. We are interested, therefore, in making grants to congregations that have a vision for their own development and want our assistance in making progress toward that vision. Special priority will be given to grants that are able to articulate the concrete ways in which this grant project will increase congregational health and vitality, faithfulness, or effectiveness as a community of faith. Please note, the Diocese does not typically fund capital projects through its congregational grant program or make grants to congregations that are not a congregation in good standing or have worked out an agreement about how they will become a congregation in good standing. Here is this year’s Timeline, for more info contact our Canon for Congregational Development, Alissa Newton (anewton@ecww.org), or follow the link below. Cursillistas are warmly invited by the Secretariat and Come and See Weekend Leader Carole Loudenback to serve on Team 2019. No experience is necessary, but you must have attended Cursillo or Come and See and be able to attend meetings for Team formation and training. Meeting venue has not yet been decided. The next Weekend is October 25-27 at Dumas Bay Centre, Federal Way, WA. Interested? Reply to caroleloudenback@hotmail.com. The Compline Choir invites you to hear the office of Compline live Easter Day, Sunday, April 21, 2019, at 9:30 PM followed by a release party at 10:00 PM. 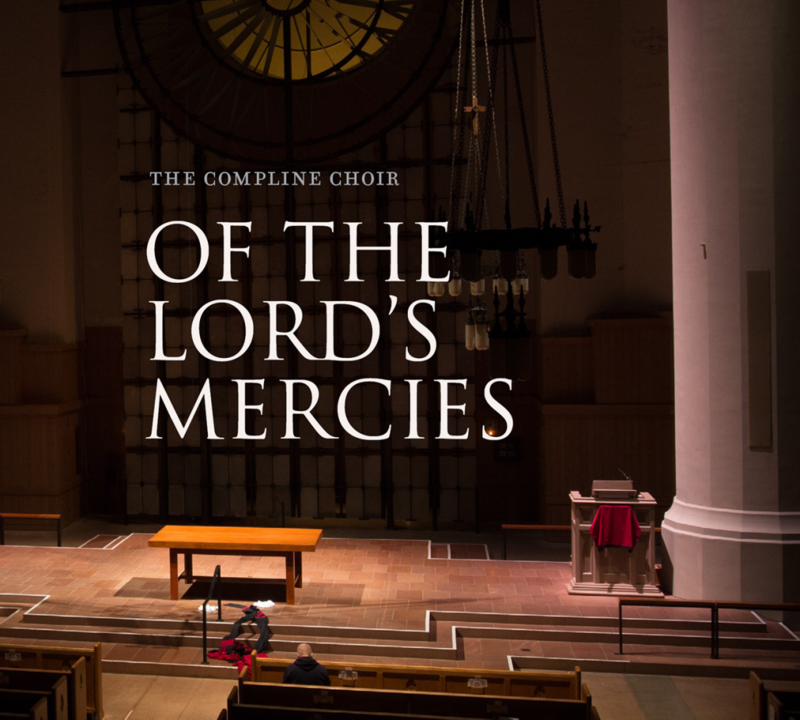 ‘Of the Lord’s Mercies’ and other recordings by the choir will be available for purchase. Join us for a monthly film series exploring stories that wrestle with faith – the beauty and the mystery, as well as the ways in which religion is used to oppress and exclude. Watch the films and stay for conversation about the connections between the movies, our faith, and the world around us. 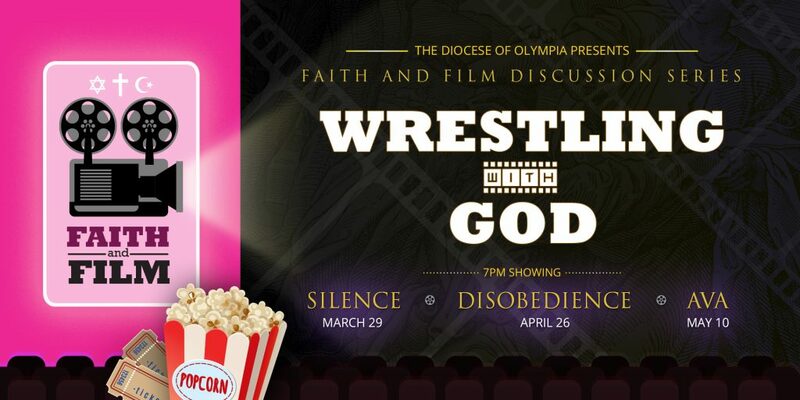 All films are FREE and will be shown at Diocesan House, 1551 10th Avenue E., Seattle, 98102. Refreshments will be served. Bring a friend! Needing a time of rest, connection, and rejuvenation? 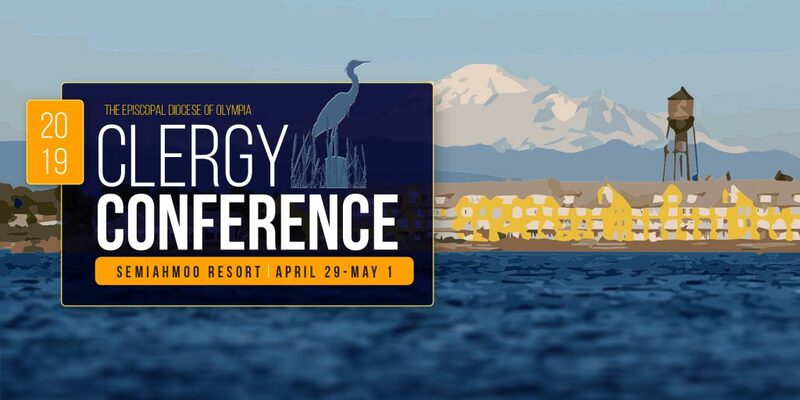 Get away for a few days and join us at the Semiahmoo Resort & Spa in Blaine, Washington for our annual Clergy Retreat and Conference, April 28 – May 1. Take advantage of the many workshop offerings, enjoy retreat time exploring the environs of this waterfront resort, or a little of both. Conference is open to clergy and their families. Have you ever wondered about the way faith impacts your life? Have you noticed that your choices, your words, and your actions can impact yourself and others? 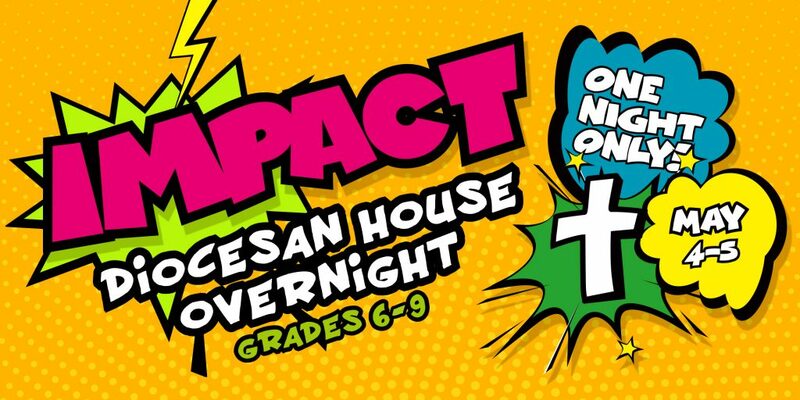 Join other youth grades 6-9 for an overnight lock-in at Diocesan House May 4-5 for a time of connection, community, learning, and fun! It’ll be two days filled with games, music and worship, and small group conversations to help you go deeper in your faith. Register today and get ready to explore the ways in which we’re impacted and can impact others! You’ve made it through High School and you’re about to start the next part of your life – college, a trade school, the military, or entering the workforce. It’s an exciting new step… But do you have the practical skills to thrive in this next phase of life? And how do you stay connected with the faith that has shaped and supported you during your teenage years? Join us for Launch! – a new event for graduating High School Seniors. We’ll have some fun and engaging activities, as well as lunch with Bishop Rickel and a question/answer session with a panel of young adults. Plus, you’ll be able to choose from a selection of workshops with topics like eating healthy on a budget, managing finances, transitioning to college, and creating personal prayer practices. 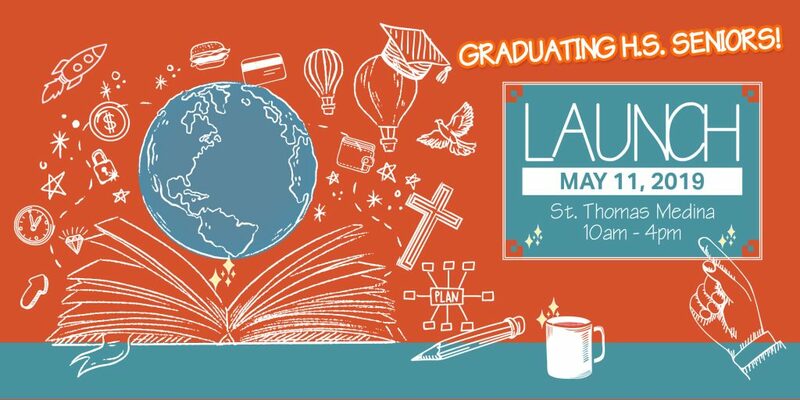 Join us on May 11 from 10:00am-4:00pm at St. Thomas, Medina and get ready to Launch! 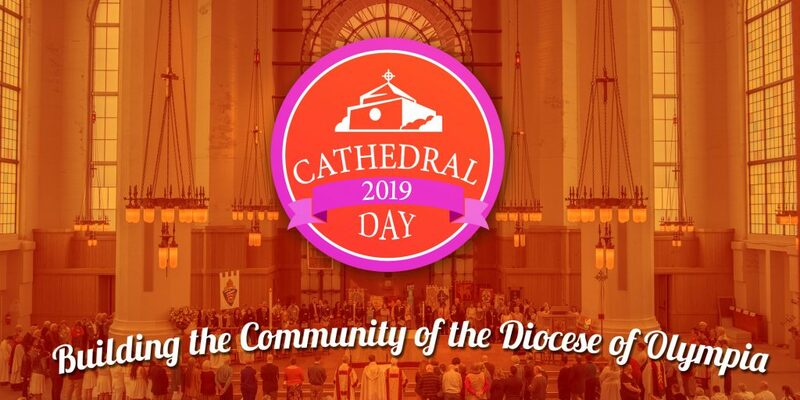 Cathedral Day 2019 will be held Saturday, May 18. Holy Eucharist and liturgy for confirmations, receptions, and reaffirmation will begin at 11:00am at Saint Mark’s Cathedral, Seattle. We invite all in the diocese to join us for this special celebration. Following the service, all are invited to have lunch from our food trucks, participate in games and activities for all ages, and take a tour of the Cathedral and Diocesan House. It will be a delightful day of community. Please come and join us! Get your free tickets/food vouchers below! The Rev. 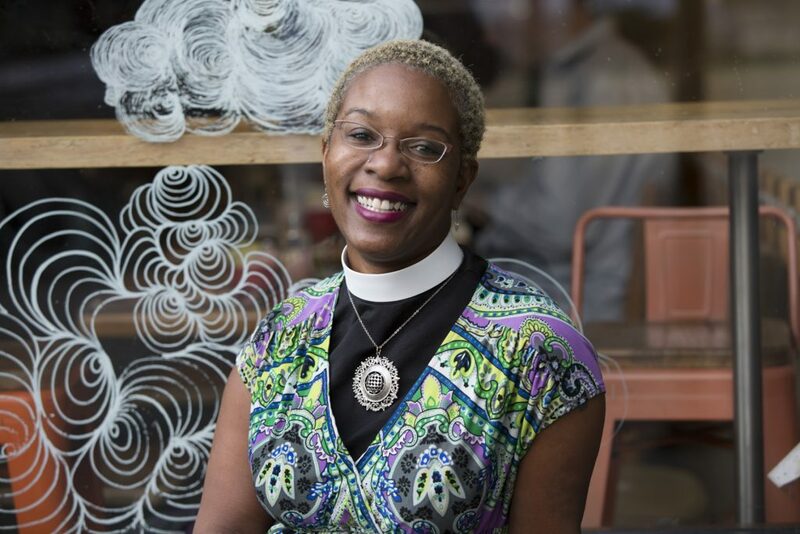 Canon Stephanie Spellers, the Presiding Bishop’s Canon for Evangelism, Reconciliation, and Creation, will visit the Episcopal Diocese of Olympia May 21-23. Canon Spellers’ self-described mission is to help Episcopalians follow Jesus’ Way of Love and to grow loving, life-giving, and liberating relationships with God, each other, and the earth. Canon Spellers will be join by Jeremy Tackett, the Episcopal Church’s Digital Evangelist. 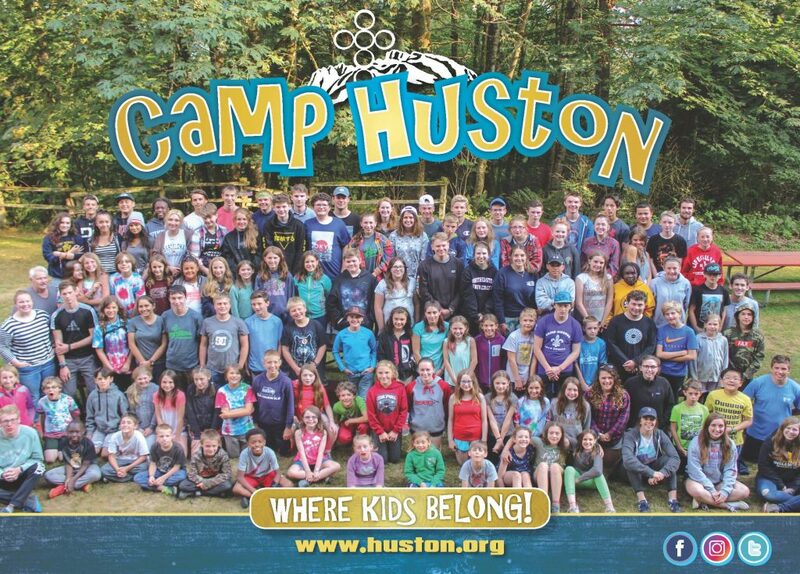 Camp Huston, the Diocese of Olympia’s summer camp, serves children in grades 1-10. Campers have an opportunity to learn more about nature, God, and themselves while building teamwork and self-esteem. We also offer leadership development through our Counselor Training program for those who have completed 10th grade. Scholarships are available! Join us as we explore how loving one another is a pathway to peace. We’ll look at this from a variety of cultural, historical, and theological perspectives through small group conversations, speaker panels, workshops, and daily worship. There will also be games, a dance, a variety show, and camp activities like crafts and archery. And if you need some time alone to think, there will be plenty of chances to relax, have a swim, or go for an exploratory hike. Saint Mark’s welcome boys and girls, regardless of church affiliation, who are interested in singing beautiful and exciting music of the Christian faith in the striking cathedral setting, while growing as musicians and children of God. 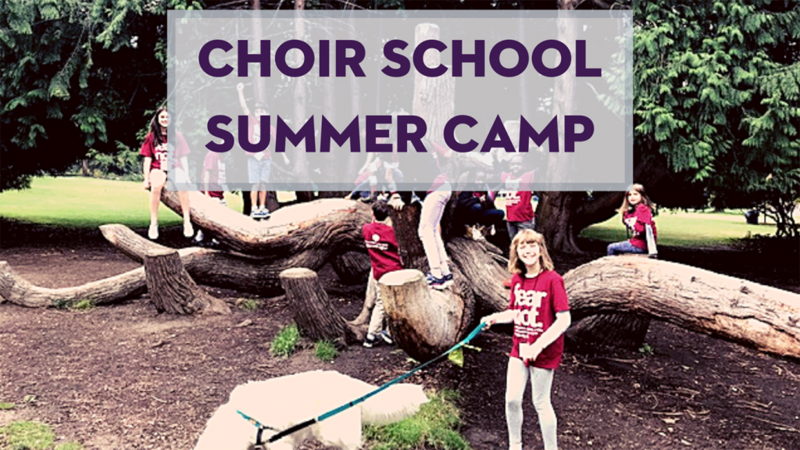 Camp activities include joyful singing of glorious music in the beautiful cathedral, daily guests specializing in art, drumming, and composition, field trips and outdoor activities, and visual art projects. Let’s take in the beauty of God’s creation on our first-ever youth pilgrimage on the Olympic Discovery Trail. Teen pilgrims will start at Saint Mark’s Cathedral and then head west, hiking daily in the mornings; enjoying field-trips, boating and other activities in the afternoon; resting at “waystations” each night; and finally reaching the shores of the Pacific Ocean. Along the way we will hear inspirational stories about what teens and adults are doing to stem climate change. We are delighted that the former Presiding Bishop of the Episcopal Church, The Rt. Rev. Katharine Jefferts Schori, will be joining us throughout. The Rt. Rev. Katharine Jefferts Schori, who also has a Ph.D. in Oceanography, will share her unique perspective as both a person of faith and a scientist. Dates have been set for The Bishop’s Leadership Conference 2020! We will be meeting April 26-May 1, 2020, at Fort Worden in Port Townsend! More details will be available in the coming months, but make sure to mark your calendar now and save the date for the second installment of this powerful time of connection, learning, and community!